1. 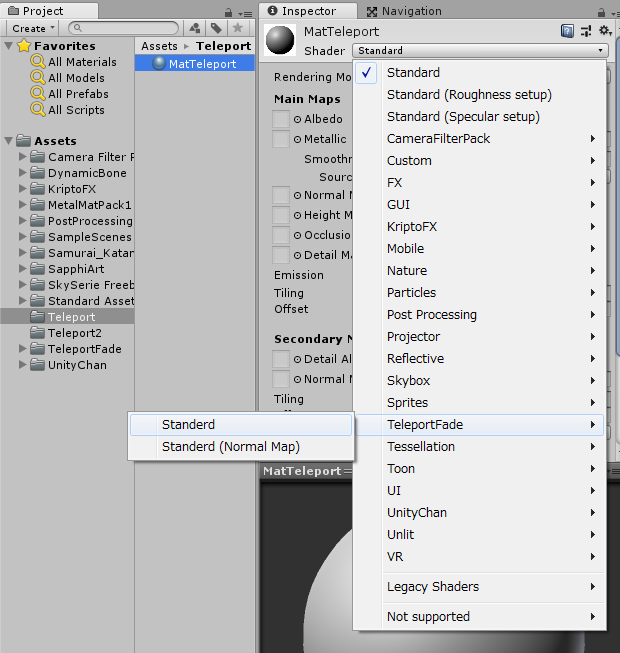 Create a material with 'TeleportFade' or 'TeleportFade (Normal Map)' shader. 2. Set that material to meshes. 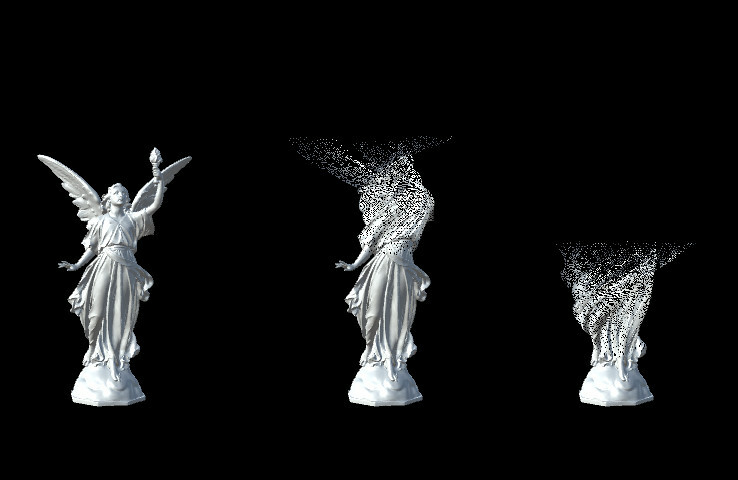 * Fade Texture ... Set TeleportFadeNoise1, TeleportFadeNoise2 or your created noise texture. * Rise power ... Rise up ratio in fading. * Twist power ... twist ratio in fading. * Spread power ... Spread XZ ratio in fading. * Particle color ... Emissive color in fading. If zero alpha, no emissive color change. * Fade rate ... Fading rate. You control this parameter in scripts. 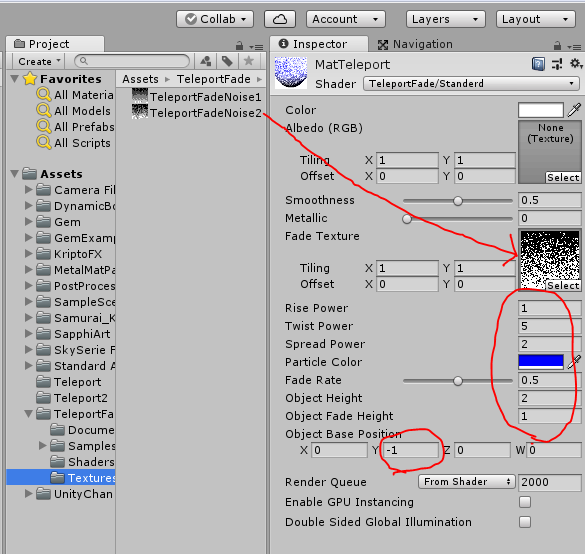 * Object height ... Set the fade object height. 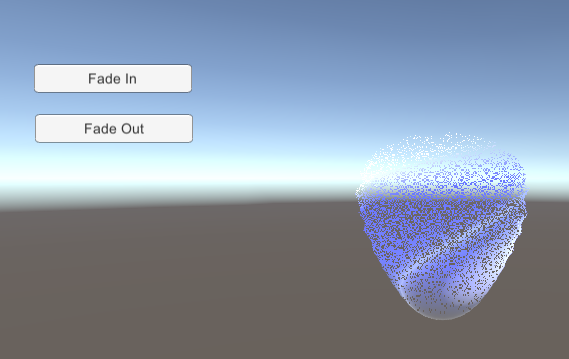 * Object fade height ... Set the fading height. * Object base position ... Set the object position. If the object moving, you have to reset this parameter.